‘When all you have got is a hammer everything looks like a nail’. Well this principle clearly seems to apply to the buying decision. 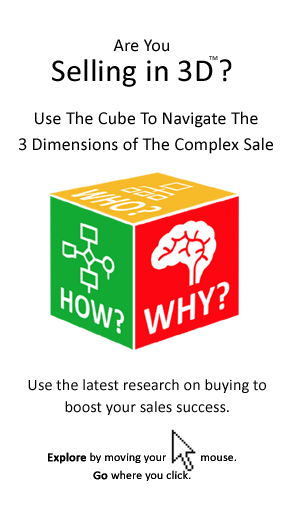 There is simply no getting away from the business case when it comes to dealing with today’s buyers. Here are just 3 examples we witnessed in the past week of the pervasiveness of the business case. A meeting to fast track the implementation of a new sales system was stalled when one senior manager asked not about supplier selection, or system specifications, but rather the business case. The question was met with an embarrassed silence and it was back to the drawing board, with all those attending the meeting agreeing that taking any steps before the business case has been reviewed, as in their own words ‘putting the cart before the horse’. Finding it difficult to choose between two options put forward by the short-listed vendor, the buyers in a public body found a novel way to break the impasse. They asked the seller to prepare a business case for selecting the more expensive Option A, over Option B. Specifically, they wanted the seller’s recommendation in the form of a no-nonsense costs, benefits and risk equation. 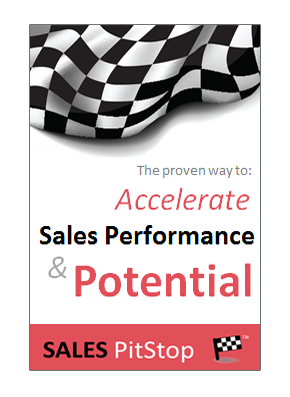 The salesperson was preparing for an important call with a prospect that he was eager to progress to the next stage of the sales cycle. He reviewed the notes of previous meetings and in his mind played out the different ways that the call could go. Then after writing out some points to guide the conversation, he tested the sales pitch out on a colleague. The colleague listened intensively, but unimpressed suggested a better approach – directly address the costs, benefits and risks for the prospect in moving to the next stage of the sales process. Moving to the next stage of the buying process may require a business case. ‘I can kiss the VP promotion good buy if this project does not work out’ exclaimed the buyer in one global corporation. Pointing to the fact that the business case is not just cold business logic, but has also has a strong personal dimension. The costs minus benefits multiplied by risk equation of the business case must be applied on a personal, as well as a commercial level. So, what does this mean for sellers? Well, it means they had better share the buyer’s obsession for the business case, putting it at the core of their selling.